Color grading is the process of creating a stylized look by manipulating the colors in an image. Color can make a huge difference in the overall feel of the finished piece—it’s a narrative tool as well as an aesthetic one. At this lunch and learn, I wanted to explore the ways in which color can affect the viewer, and how we at Reliant can learn to better harness this tool in our filmmaking. Color in Film - A Brief History Since the early days of film, people have found creative ways to incorporate color. Before 3-color strip processes like Technicolor, some filmmakers went to extraordinary lengths to add color to their films (see below, the 1902 Georges Méliès film A Trip to the Moon). The film was shot with standard black and white film, and some prints were colored individually, by hand. By 1922, Technicolor was the most popular color process in Hollywood, which used three strips of black and white film, each exposed through a different colored filter. The film was then layered together to form a color image. Color can drastically alter the look and feel of a film, and advancing digital technology has given filmmakers the control to experiment endlessly to find just the right color palette for their story. When the Coen brothers set out to make O Brother, Where Art Thou?, they knew they wanted a very specific look for the Depression-era story set in the Deep South: dry, dusty, and reminiscent of an old picture book. 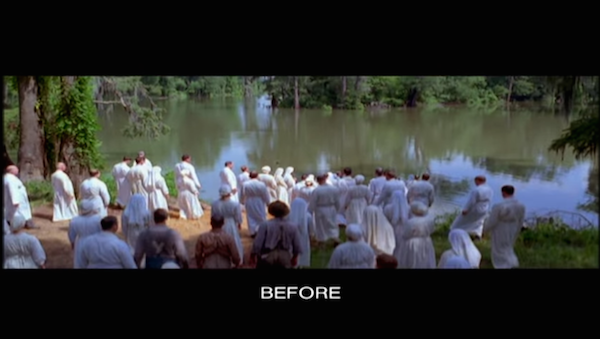 They experimented with several different film processes to achieve this look and eventually decided to use digital coloring tools, making it the first feature film to be fully digitally colored. You can see in the before and after photos (below) just how much the color was manipulated from the original image—the bright saturated greens are nearly eliminated, being replaced with warm golds and browns. The whole image is warmer and brighter, evoking a hot, dusty climate, and even the yellowed pages of an old book. Thinking about how the film would have felt different with unaltered color is a helpful tool for examining the impact of the Coen brothers’ color choices. 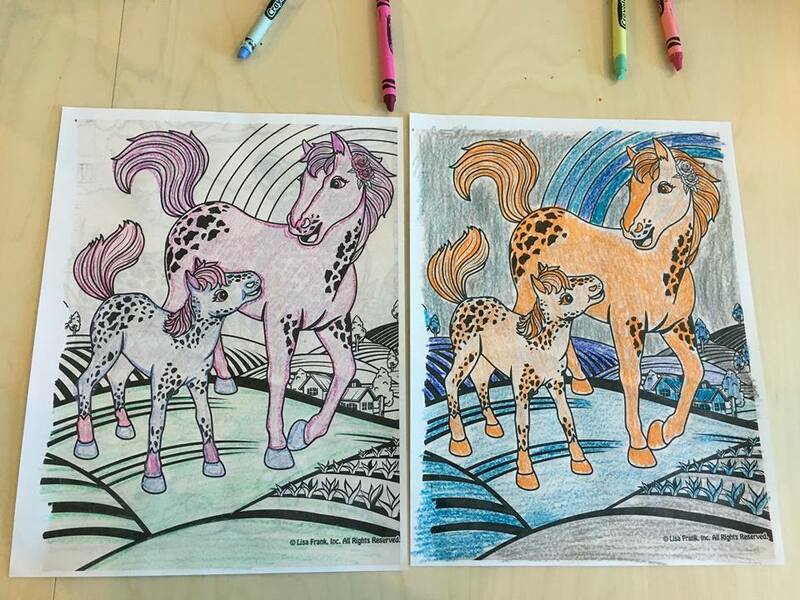 Color in Practice As a way to further examine the impact of color (and a good reason to buy a Crayola 64-pack), I gave my coworkers crayons and forced them to color pictures of Lisa Frank ponies. They probably enjoyed it too much. The variety in palettes showed us that, apparently, we all see the world in different colors. Figuring out what we’re drawn to, and why, can help us use color to tell even better stories. 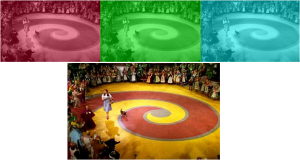 Check out this video for a more in-depth look at color in storytelling.